Handbag Junkies Another creative workspace! 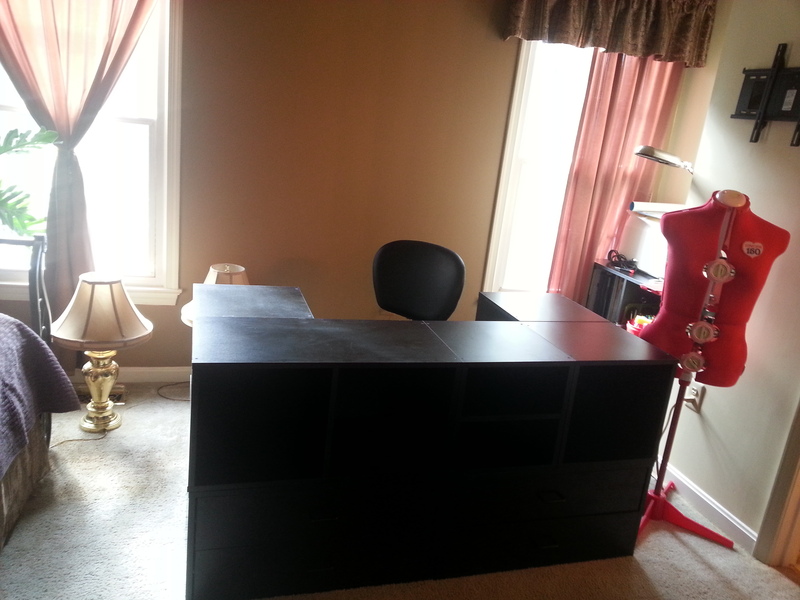 I moved my craft-space into my guest room, and spent two weeks packing, unpacking, and decorating. I’ve used this space before, but had to move out of the room when my son moved back home, then he left after several months started a family and now we all have a space that we can share one year later. My hubby did a great job, making my dream a reality for my Birthday, and I know he’s glad it’s over! Now I can walk around one side of the table, really stretch out (code for : make a crafting mess) and everything has a place. I started this design last year when I was relegated to a corner in the living room. The Foremost cubes really came in handy and served me well there. So I thought I would keep the design going throughout the room. I’ve chosen a television for the wall mount and there are still pieces of art that I plan to have stretched and framed. 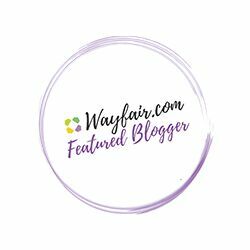 I looked for a corkboard to cover with fabric and ribbon that was large enough to fit the wall. 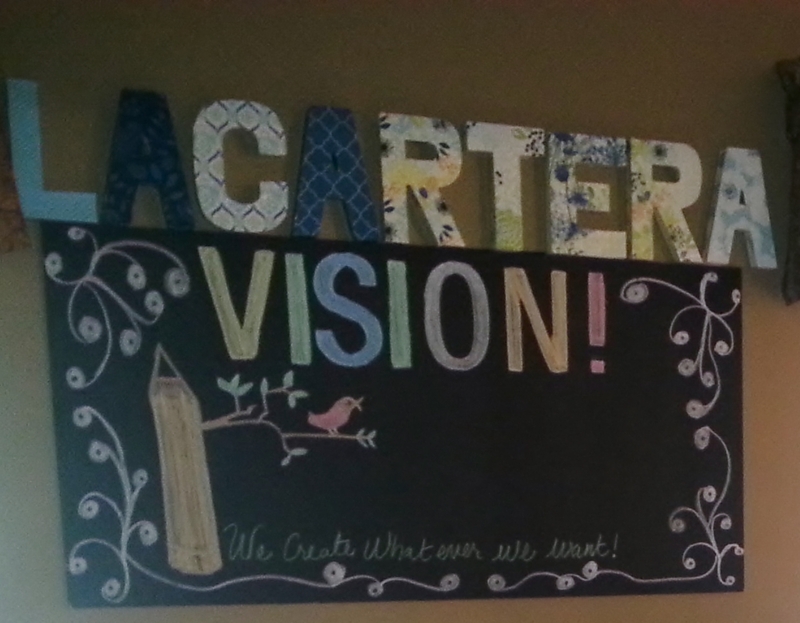 But I found a chalkboard at my local Home Depot building supply store instead that would allow me to capture my design process or things-to-do, which I could see when I entered the room. There’s a little more work to do, but the crafting can now begin! The best part is… my family love’s it too. My little Hunk showed us his dance moves when he heard the music playing in the background. Before you know it…he will be old enough to start painting and crafting too. 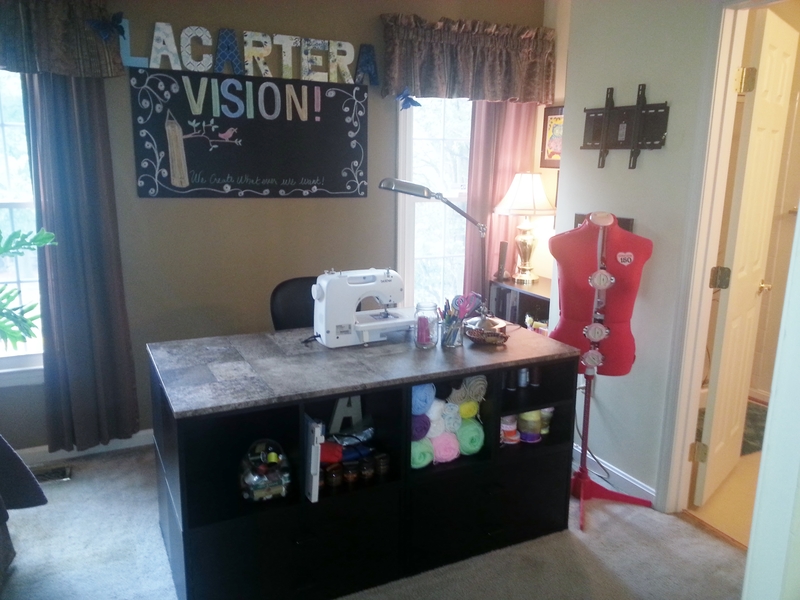 You can read more about how I made the craft table in the ” How to Customize a Creative Workspace” post from last year. Awesome!! 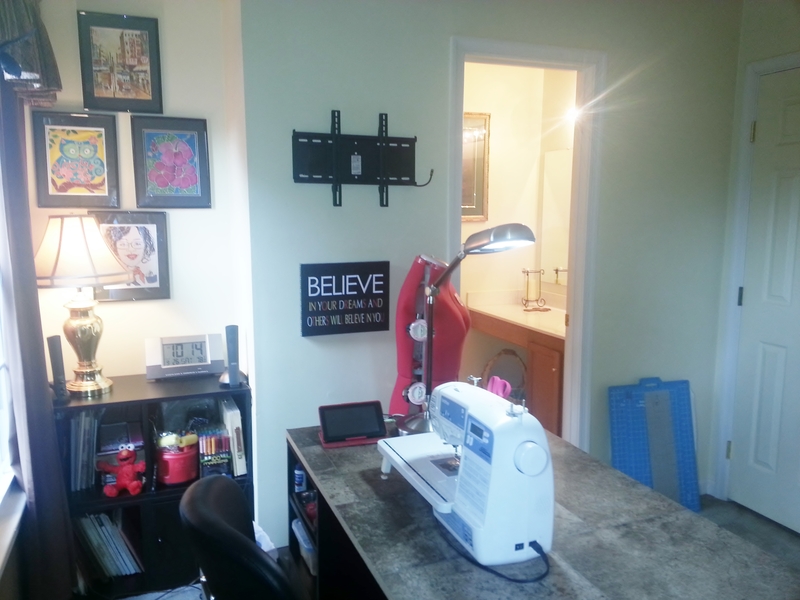 Can you feel the craft room envy from across the ocean!!?? We’re hoping extending our home early next year and fingers crossed I’ll have a proper room too! The one thing I have learned throughout these changes is that good things will come when we are patient! I’m sure your room will be fabulous too! 🙂 Hang in there!! congratulations on a great transformation! Thank you! I’m so happy I can get back to crafting. What a great work/create/dream/whatever you want ..domain! It’s nothing like having your own space, whenever and however you want to use it!! You go. The table is great! Long hours will be spent there I’m sure. 🙂 Cute, Cute baby!!! Thank you! I love it and I’m looking forward to getting back to work this week. 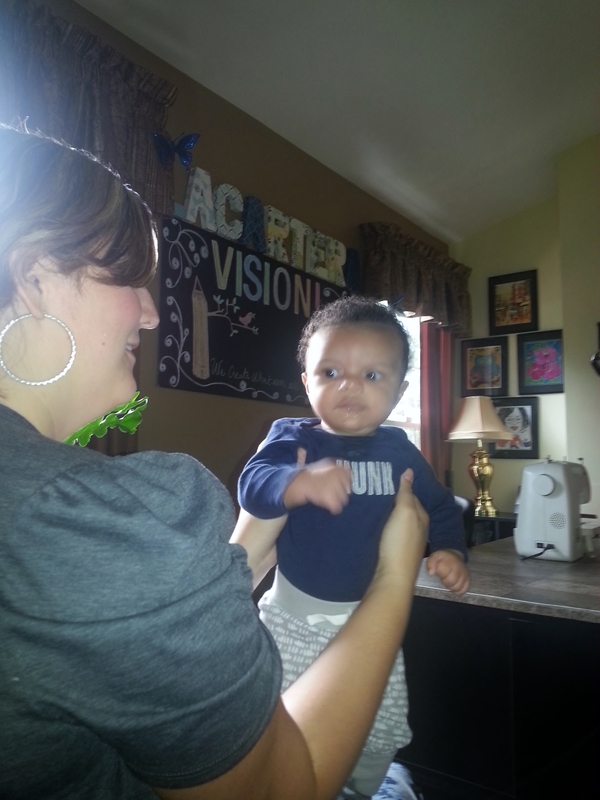 My grandson enjoyed himself too…he’s such a good baby. Isn’t it nice having a space of your own. I love mine. We turned my daughters room into my studio when she moved out to start her own family. Love your desk. Thank you! It’s so nice to have a space of your own. 😃 Today I get to spend some time in the room and I love it. What a wonderful space! I love seeing other people’s workspaces. Right now, I am confined to wherever has the most space at the time, haha, but am hoping to make some space of my own. Thanks for the inspiration! Awww, but it’s a beautiful space to get attached to. I hope you get to expand and improve over time. Me too! I really love the space.